Dr. Michael H. Corcoran was in the law enforcement field for over 34 years beginning in 1968 and the threat assessment field since 1970 when he entered the United States Secret Service. Completing his doctorate in 1979 in Behavioral Science, and utilizing his law enforcement experience, he specializes in identifying and handling potentially violent subjects. 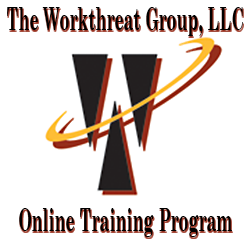 He does threat assessments, determination of true potentials of violence and criminal profiling for governmental agencies, law enforcement, Fortune 500 companies, school districts and healthcare providers around the world. Maintaining liaison with the intelligence community since 1970, Dr. Corcoran is able to obtain critical information and intelligence concerning terrorists and other “high-risk” developments as well as travel safety details for both foreign and domestic locations. What kind of training is necessary for identifying, handling and preventing violence and its precursors – for all employees?